Was Dean Ambrose able to hang onto the WWE Championship heading into Battleground? Which brand snagged the WWE Champion as their #1 pick? Which formidable trio was broken up as a result of the WWE Draft? How did Kane put a temporary stop to the fighting between Kevin Owens and Sami Zayn? How did the WWE Championship main event end in controversy? Who did Shane and Stephanie select as their respective General Managers? How did Darren Young pick up another improbable win? Who emerged from a huge 12-Man Tag match with some major momentum heading into Battleground? 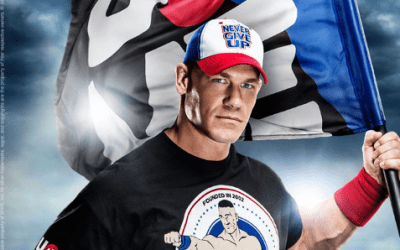 Who will join forces with John Cena in his battle against The Club? Which former friends will go one-on-one? How did Kevin Owens prey on a vulnerable Sami Zayn? Who was revealed as Brock Lesnar's opponent at SummerSlam? How did Zack Ryder follow up a big win with an even bigger challenge? How did Dean Ambrose try to get under the skin of Seth Rollins?